A slightly new poster has been revealed for Fede Alvarez’ new vision of the Evil Dead. The poster is pretty much the same as the original poster, but this one has been re-coloured. Gone is the stark, blinding white and menacing grey, and in comes a striking, slightly disturbing harsh blood red colour to emphasize that fact that this film will have a lot of blood running in it! Directed by Fede Alvarez, Evil Dead has been written by Alvarez, Sam Raimi, Rodo Sayagues and Diablo Cody. Jane Levy (“Suburgatory”) as Mia; Shiloh Fernandez (Deadgirl, Red Riding Hood) as David; Lou Taylor Pucci (Carriers) as Eric; Jessica Lucas (Cloverfield) as Olivia; and Elizabeth Blackmore (Legend of the Seeker) as Natalie all appear, and Bruce Campbell is also onboard as a producer with Sam Raimi. 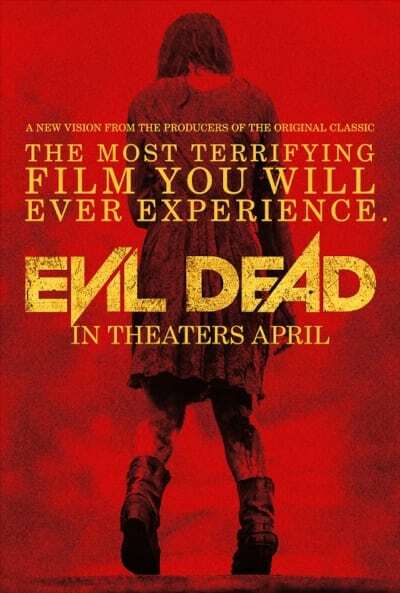 The Evil Dead is due to arrive in UK cinemas 12th April 2013. A new featurette explains a few things about ‘The Possession’ and the Dibbuk box, spooky! Fede Alvarez’ ‘Evil Dead’ rules the US weekend box office! Bruce Campbell discusses Evil Dead remake?